Are you looking for a dynamic, engaging and informed speaker for your upcoming conference on languages, literacy or leadership? Dr. Sarah Eaton is a member of the Canadian Association of Professional Speakers, the Global Speakers Federation and the International Federation for Professional speakers. She has spoken in 7 different countries and 2 languages. Education in today’s world is vastly different than it was in the 1960’s, 70’s and 80’s. 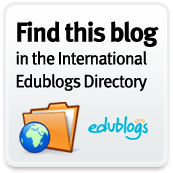 Find out what’s hot and what’s not in education today. More importantly, find out how these changes will affect you and what you can do be an effective teacher, trainer or parent in today’s changing world. This dynamic and engaging talk presents new research that reveals what’s hot and what’s not in language learning in the 21st century. New trends include using technology both inside and outside the classroom; adopting an individualized and learner centered approach to learning; linking language learning to leadership skills and community impact; and asset-based approaches to assessment including frameworks and benchmarks. This program is informed by Dr. Eaton’s study, “Global Trends in Language Learning in the Twenty-First Century”. Informed by the latest research, this keynote looks at trends in learning and education with regard to formal, non-formal and informal learning as defined by the Organisation for Economic Development and Cooperation (OECD). Educators are beginning to think beyond the brick-and-mortar walls of the traditional classroom when it comes to learning. There is a growing trend towards valuing non-formal and informal learning. Learn the differences between each type of learning, emerging trends for how to value and assess learning that happens in non-formal and informal contexts. Master educational leadership essentials for the new millennium. Though core principles of leadership are timeless, the skills needed for leadership in today’s fast-paced world are different than in decades past. This workshop will help educators understand what it means to be a leader in the 21st century. You will be challenged to reconsider traditional paradigms of leadership and why they won’t work today. We will examine leadership trends in for the new millennium and the role of leadership in education You will learn 21st century best practices for leadership that lead to personal and development for you, and empowerment and growth for your learners. This keynote is based on 6 years of research and 12 years of teaching experience, it shows how learning a language can help us change the world in wildly positive ways. Dr. Eaton looks at significant world leaders and world changers such as Mother Teresa, Nelson Mandela, Mahatma Gandhi and Albert Einstein, looking at the impact lifelong language learning had on their lives, their leadership, their ability to mobilize others to take action. Check out Dr. Sarah’s short programs and workshops, too. 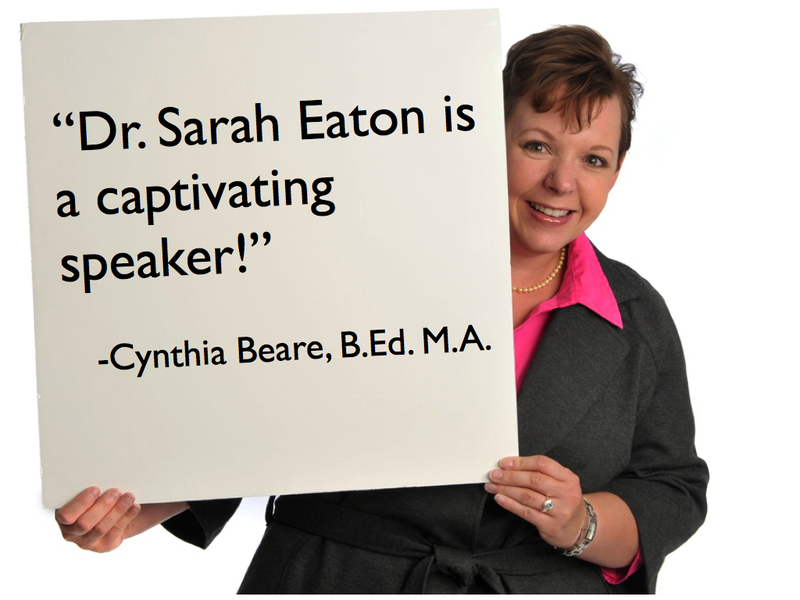 Contact Dr. Sarah at sarahelaineeaton@gmail.com to inquire about special pricing rates for your educational conference.